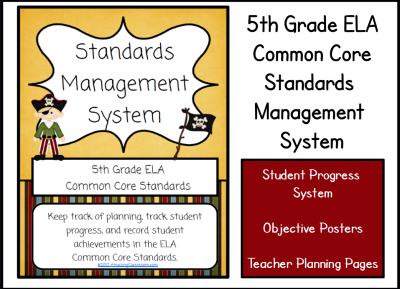 This Standards Management System for 5th Grade ELA is the perfect companion for any teacher. It includes over 190 pages of: student friendly objective posters for EVERY 5th grade ELA standard, teacher planning pages, student folder contents for students and teacher to keep track of all of the standards they have mastered, an incentive "Map to Success" program where students earn award badges for mastering the 5th grade ELA Standards. Enjoy! 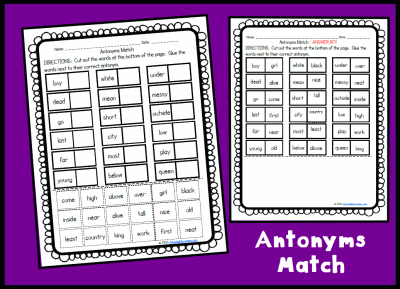 Your students will be sure to learn antonyms and their meanings after completing this antonym match activity page! Use this for homework, guided practice, independent work, or as a formative and summative assessment. This worksheet includes an answer key for easy grading! Enjoy! 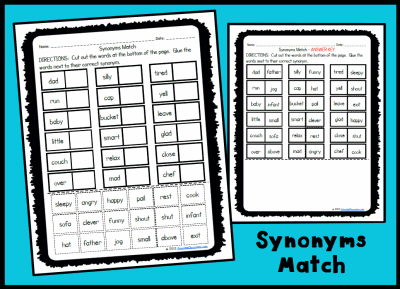 Your students will be sure to learn synonyms and their meanings after completing this synonym match activity page! Use this for homework, guided practice, independent work, or as a formative and summative assessment. This worksheet includes an answer key for easy grading! Enjoy! 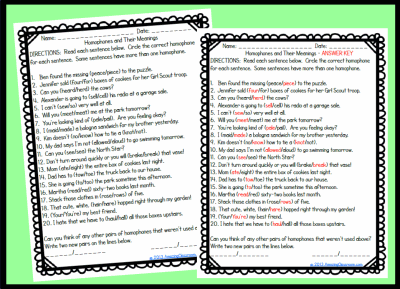 Your students will get ample practice with finding the correct homophone that completes each sentence, with this 22 question activity page. This worksheet file also contains an answer key for easy grading. Use as guided practice, independent practice, homework, or as a formative or summative assessment! Enjoy! 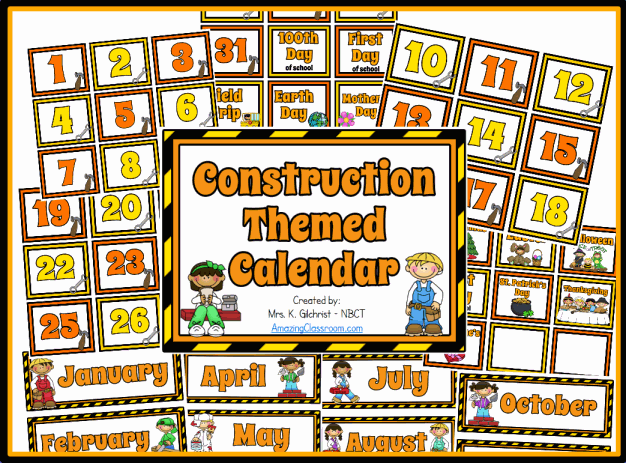 Start of your year with this cute, construction themed, calendar set. This set features 31 number cards, 2 blank cards, holiday cards, first day, last day, and 100th day of school cards, and twelve months of the year headers. Each number card measures 2.5 by 3 inches and each monthly header measures 3.0 by 7.5 inches. Enjoy! Your students will have a blast playing this fun game for math review. This is an entire class activity where they move around the room quietly to solve all sixteen math problems. All of the problems in this set include identifying the EATEN or NOT EATEN parts of the pizza, so students have to read the cards carefully. Use this formatively to find out what your students know, or use it as a review game for extra practice. Enjoy! 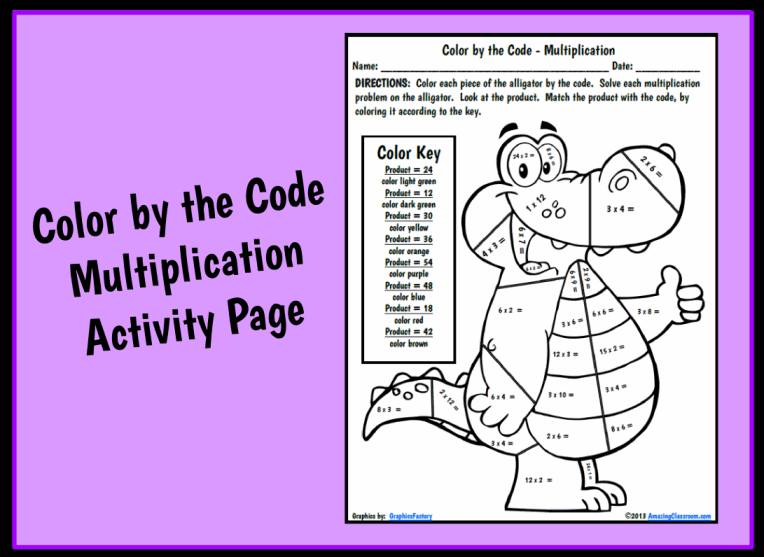 Your students will have fun reviewing their multiplication facts with this fun, color by the code alligator activity page. 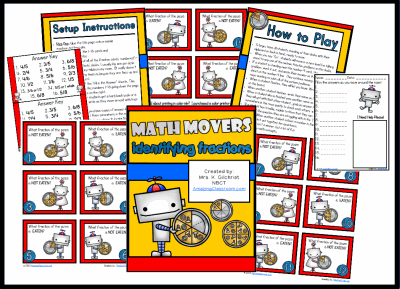 Use as independent practice, a math center or station activity, or even as homework review. Enjoy! 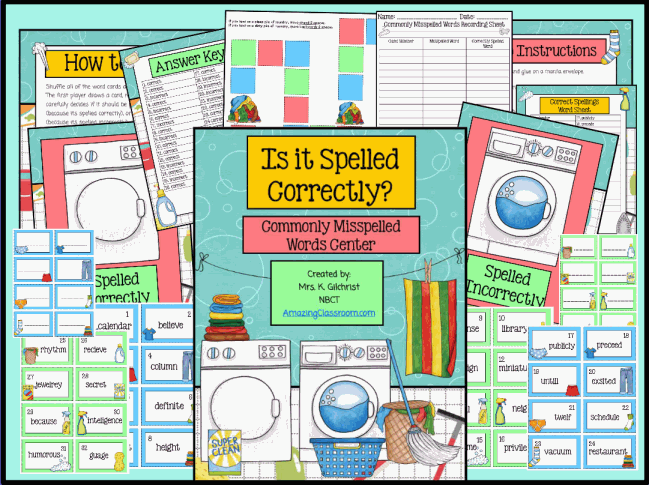 Your students will be sure to spell some of the commonly misspelled words correctly after playing this fun spelling game. This center includes a cover, how to play instructions, setup instruction, 32 game cards, two game mats, a game board, answer key, commonly misspelled word list, a recording sheets, and 16 blank cards to create your own. Best suited for grades 4-6, but will also work for more advanced third grade spellers! Enjoy! 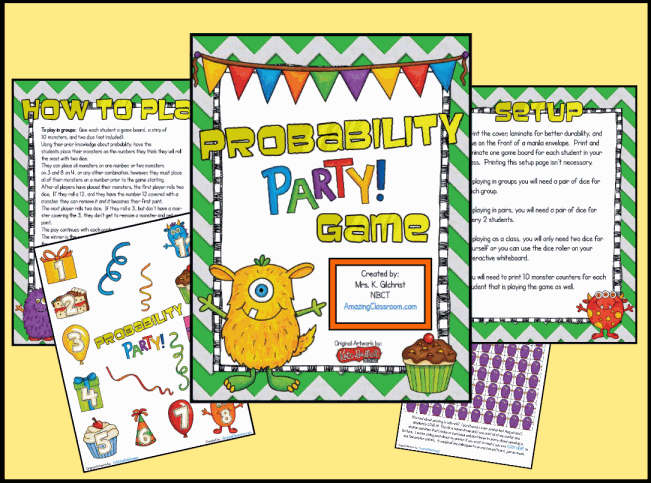 What a fun way to review the concept of probability! Your students will LOVE playing this game as a whole class, in small groups, or even in pairs! Your students will place 10 monster counters on any of the 12 spaces of the game board. They place their monsters, strategically, based on the probability of the roll of two dice. If they roll a number that a monster covers, they remove the monster to earn a point! 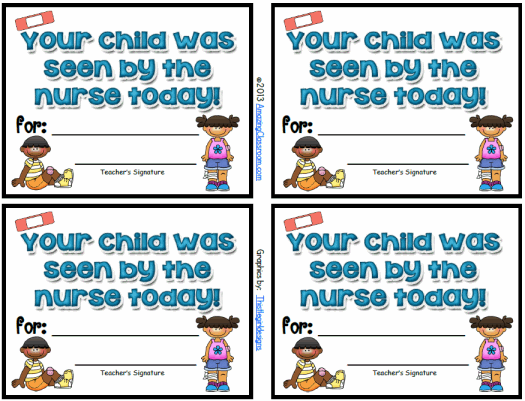 These slips are to fill out after your students visit the nurse. They were requested by a kindergarten teacher. After your student visits the nurse, fill out one of the slips and send it home to let their parent know they visited the nurse's office that day. This helps notify the parents as to what their child was seen for, and it also helps notify the parents how often their child is visiting the nurse.